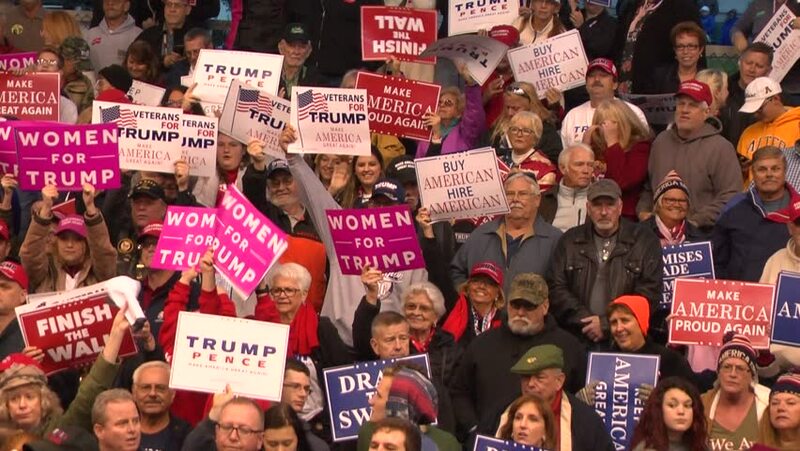 LEBANON, OHIO, USA - OCTOBER 12, 2018: Supporters at a president Donald Trump rally at the Warren County Fairgrounds in Ohio, 21 months after his inauguration. 4k00:30USA, FLORIDA, OCTOBER - 11, 2016: Hillary Clinton Miami Dade College. Al Gore. Editorial only. 4k00:24Los Angeles, California-2010s: Hundreds of thousands march and carry signs to protest the presidency of Donald Trump in downtown Los Angeles, California. 4k00:17NEW YORK - SEPT 2, 2017: wear your own skin sign at animal rights parade, NYC 4K. The animal rights march took place on 8th street in Manhattan and expressed anger toward all forms of animal cruelty. hd00:07NOVOSIBIRSK, RUSSIA, MAY 1, 2017: Action "Monstration 2017" in Novosibirsk. The essence of the event - an absurd procession, a parody of the traditional May Day demonstration. hd00:17CHICAGO - SEP 13 2012: Teachers on strike and protesting in downtown Chicago, September 13, 2012. 4k00:09MUMBAI, INDIA - 10 NOVEMBER 2014: Locals protest at the local government office against the shutdown of drinking water in a suburb of Mumbai. hd00:09BRISTOL - May 13: Protest Against Conservative Government & Healthcare Cuts: 'NHS is Here to Stay' Sign on May 13, 2015 in Bristol, England.